For a conventional attack submarine, the performance of its battery is crucial to its survival and operational capacity. A leading supplier in advanced battery has developed a new type of lithium-ion battery system for submarine together with a shipbuilder. This technology is much more efficient than the usual lead acid solution. ALTEN engineers bring their expertise in battery V&V to ensure the safe operation of this new technology in a hostile environment. Unlike a nuclear submarine that can remain underwater indefinitely (limited only by the amount of food on board), a conventional submarine must regularly return to the surface to recharge its battery, using its diesel engine. This is a risky operation for the submersible, because as it approaches the surface, it becomes easier to detect. While naval engineers have since made considerable progress in optimizing the naval hydrodynamics of submarines, making them faster and longer endurance underwater; the space available in a submersible remains extremely limited to increase the size of the on-board batteries. 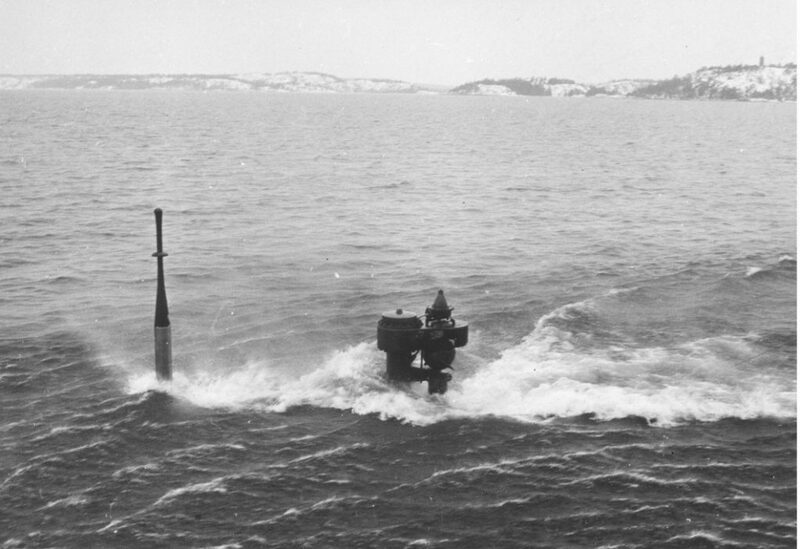 The low diving autonomy is still the Achilles heel of modern submarines, since they use the same lead acid battery technology as their ancestors in 1945. Introduced by Sony in 1991, lithium-ion battery technology has revolutionized the autonomy of all mobile equipment through its high specific energy (Wh/Kg) and number of duty cycles. Lithium, the smallest and lightest of all metals, has excellent electrochemical properties in relation to its weight. For the same given weight, lithium-ion batteries can store more energy (longer endurance), provide a higher output current (more powerful). Despite its increasing democratization in our daily lives (e. g. smartphones, portable tools, electric cars, etc. ), the application of this technology in the naval sector is very limited. 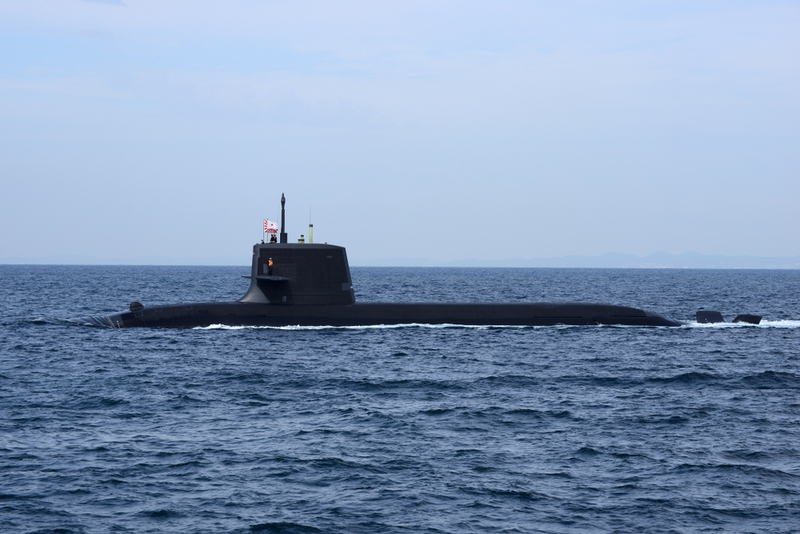 To date, only one submarine equipped with lithium-ion batteries (SS-511, Japan’s Soryu class) has been launched in October 2018, for commissioning in 2020. This new technology has doubled the diving range, eliminated the danger of producing explosive gas (hydrogen), and reduced the recharge time by increasing the recharge power (source). It offers an interesting alternative to the AIP system (Independent Air Propulsion). The AIP system extends the submarine’s electrical autonomy, allowing it to stay several days in the water, but it carries an additional engine (Stirling or fuel cell) and gas tanks (oxygen and/or hydrogen). Soryu class submarine. The integration of lithium-ion batteries made it relatively competitive in the Australian contract’s call for tenders (source). 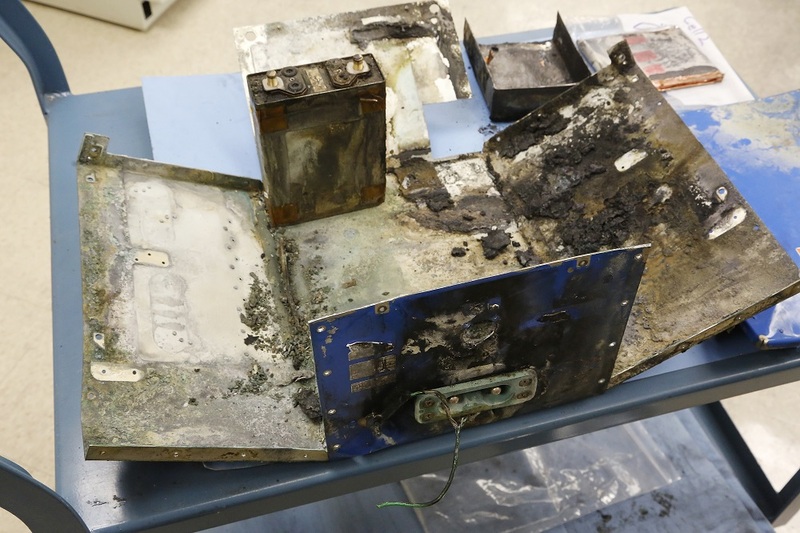 Despite the undeniable advantages of lithium-ion batteries, manufacturers are aware of the safety risks of this new technology. In the first year of service for the Boeing 787 Dreamliner, at least four aircraft suffered from electrical system problems stemming from its lithium-ion batteries. More sensitive to vibrations and temperature variations, a lithium-ion battery can quickly trigger overheating and the phenomenon spreads to neighbouring batteries, causing a “thermal runaway”. (source). A collision must therefore not be allowed to cause a fire of the batteries on board. In 1968, an American submarine (SSN-589, USS Scorpion) was reportedly sunk by the explosion of its own torpedo, following a design defect in the battery. Indeed, vibrations would have triggered a thermal runaway of the torpedo battery, which in turn causes an explosion inside the submersible (source). The battery system of a submarine is generally composed of several tens of batteries (string). Each battery (string) is composed of several modules, a management system (BMS, battery management system) and a contact breaker. Each module itself consists of several accumulators and a liquid cooling system. With battery engineers from various sectors (automotive, aeronautics, energy, etc. ), ALTEN brings undeniable expertise in the V&V activities of battery systems to complete the project.